Bulls coach Pote Human is by no means a bitter man, but he places a high premium on honesty. That’s why you won’t find him being particularly enthusiastic about some of his leading players earning extra money with off-season gigs in Japan and Europe. While it’s an unavoidable problem for local franchises, who in many cases have to give stars permission to do so just to keep them financially happy, it’s also a huge risk. Human had expected influential lock RG Snyman – one of the Springbok’s breakthrough players of 2018 – to help spearhead this year’s Super Rugby campaign. Now he’s injured for two months after picking up an ankle injury in Japan. “I must say, it’s very difficult. I don’t sleep well at the moment,” Human said on Wednesday with a wry smile. It doesn’t quite end there. Several other notable names – scrumhalf Andre Warner, flanker Hanro Liebenberg and lock Hendre Stassen – aren’t yet back in the swing of things following loan stints at Heyneke Meyer’s Stade Francais. “Andre came back last week, while Hanro came back Tuesday,” said Human. Stassen’s absence becomes more important given Snyman’s sidelining though Human is positive about the form of Jason Jenkins, Snyman’s great friend. “He’s looked fit and ready since returning. We’ll be using him at lock though he’s not available this week,” said Human. The Bulls play the Stormers at Cape Town Stadium on Sunday as part of the #SuperHeroSunday pre-season tournament. Bulls: Warrick Gelant, Jade Stighling, Jesse Kriel, Burger Odendaal, Duncan Matthews, Handré Pollard, Ivan van Zyl, Duane Vermeulen, Jannes Kirsten, Paul Schoeman, Lood de Jager (c), Eli Snyman, Trevor Nyakane, Schalk Brits, Lizo Gqoboka. 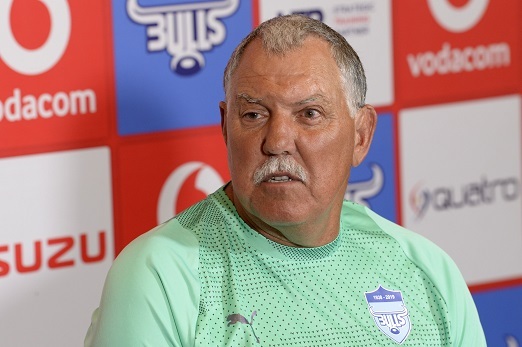 Bench: Corniel Els, Simphiwe Matanzina, Dayan van der Westhuizen, Ruan Nortje, Ruan Steenkamp, Thembelani Bholi, Embrose Papier, Manie Libbok, Dylan Sage, Johnny Kotze, Divan Rossouw.